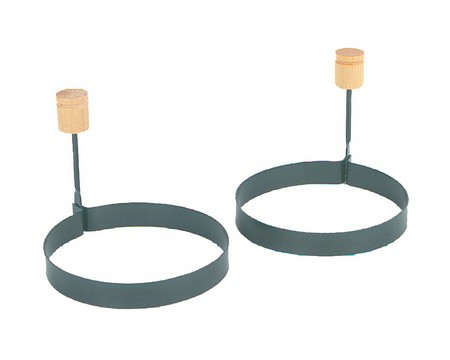 Non-stick ring with wooden handle. Measuers 4" in diameter. Comes 2 to a set.